Fuji HMI UG221H-LE4 has a MJ1 jack on it , and this is the port through which we can Make screens in HMI and Develop the Application. We have made the Connecting Cable through which it can be connected with PC RS232 Male Port. It is completely tested and you can make the cable easily. To make this Communication Cable you need a RJ-45 Jack to be plugged in to Fuji HMI and one RS232 DB9 female port to be connected at PC side. 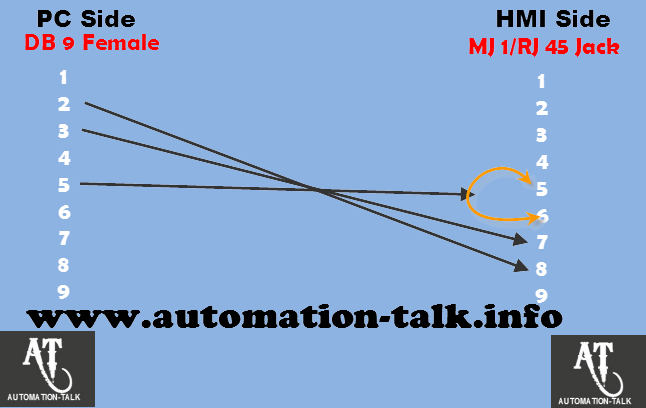 See the Below Picture for Connection Diagram of Communication Cable between Fuji HMI and PC. 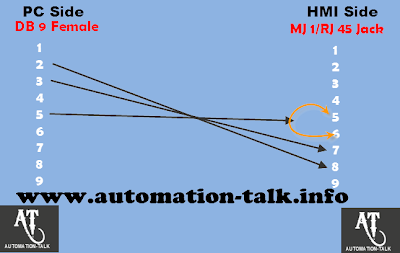 Also You can subscribe to get all Communication Cable Related Updates in Yours Mail-Box. Also keep Reading for all latest PLC programming,VFD Installation and SCADA Tutorials.